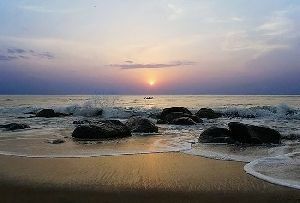 One of the finest and the second largest beaches in the world, Marina Beach is a popular tourist attraction of Chennai. This 12 km long beach features golden sand and shining blue water which allures people from all over the world. The beach is a popular picnic spot. Visitors get to enjoy different activities such as fishing, wind surfing, sun bathing, kit flying and beach volley ball. The place is an all time favorite for those who wish to spend some time amid natural beauty and tranquility. And this is not all; there are many food stalls around the beach where people can enjoy lip smacking snacks. People can also enjoy pony rides which are available on the beach ground. 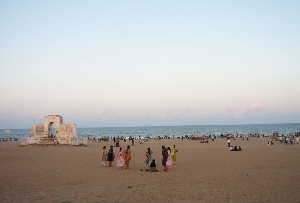 Marina Beach is one attraction which you really can’t miss. The unmatched beauty of the beach promises to leave every visitor spellbound. 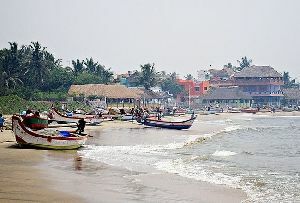 Marina Beach can be visited all around the year. However, the best time to visit the Marina Beach is from the month of November to February when the temperature remains moderate and you get to enjoy lovely breeze all day. 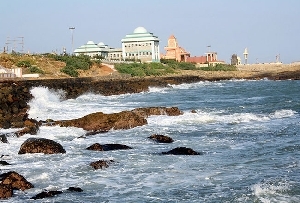 There are many attractions which lie on the Marina Beach Drive such as Ice House, Anna Square, Senate House, MGR Memorial.